We had been to South East Asia before but that was to the Philippines to minister for our Call2Come Representative there Pastors Armandos Peter Beliganio and his wife Pastora Susan. That was in 2013, 2014 and 2016. 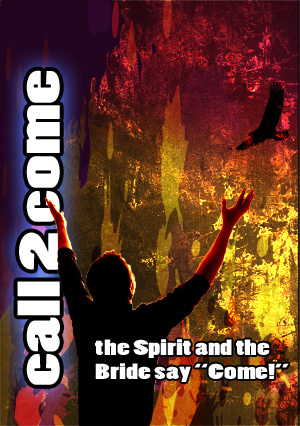 On all these occasions we had seen the Holy Spirit move in tremendous power as He baptised so many in fire. 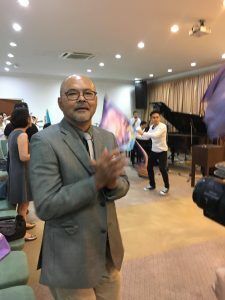 This time we were ministering in Malaysia and sharing a conference with Pastor Reggie Lee of Malaysian Chinese descent but currently living in Luton England. 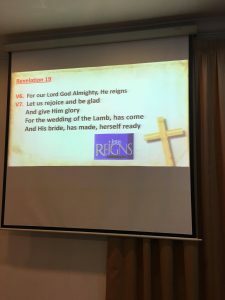 He had invited Howard to share a Conference with him on The Kingdom and the Bride and he shared about the Kingdom and Howard shared about the Bride. 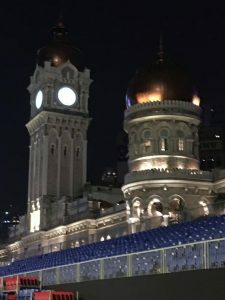 There were two conferences back to back ….one in Penang on that beautiful island and the other in Kuala Lumpur, the capital city. 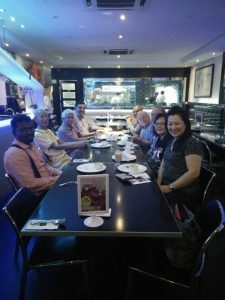 Pastor Reggie very kindly showed us around the beautiful Island of Penang a rare treat since we usually have very little time to sightsee. 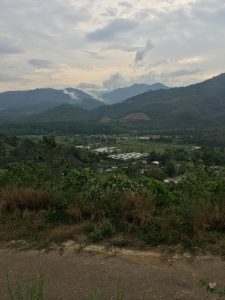 Malaysia is indeed a really lovely country. 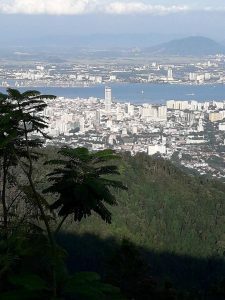 One day we went up cable car (Funicular) and saw the island of Penang us. 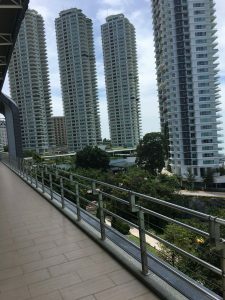 The influence of the country’s Malay, Chinese and Indian origin has created a diverse and fascinating culture demonstrated wonderfully in its Art and delicious cuisine. 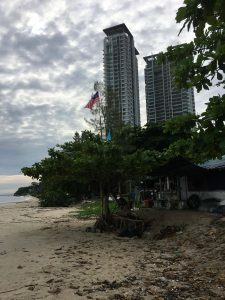 People in Malaysia eat only once a day which seems to tart at breakfast time and continues till very late at night. 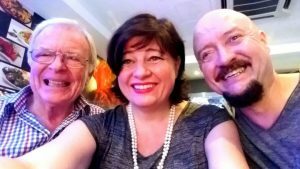 The variety of tastes and textures is tantalising and ‘when in Rome do as the Romans do…….needless to say we came home to England a little heavier that we went. It was wonderful! Delicious cooked food is so easy to buy. It seems so cheap and is readily available on every street corner or open space. 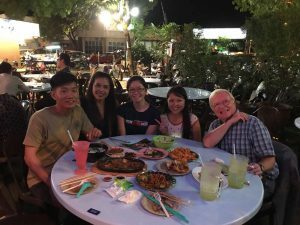 Malaysians specialise in eating places of about 50 to a 100 small stalls of freshly cooked Malay, Oriental or Indian hot curry food. The choice is vast. 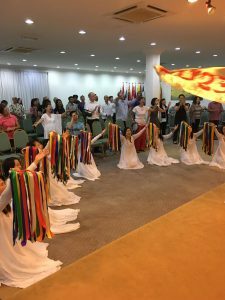 The Conferences in both Penang and Kaula Lumpur went very well and people seemed very blessed and challenged by these end time messages. Reggie was skilfully presenting a biblical and rational argument for the Kingdom of God and its authority and influence being the answer to the world’s needs and Howard was encouraging everyone to embrace their End Time identity as the Bride demonstrating that the Bride is the central theme of scripture and that She and She alone has the authority and anointing reserved for Her to fully bring in the Kingdom. We were delighted and surprised to hear the worship leaders at the beginning od the last session lead the assembly in singing a song in which they sing….”And the Bride has made Herself Ready” and then they all sing the cry “Come Lord Jesus” since this is usually the place we hope to bring everyone to when in unison with the Spirit the Bride cries Come! That for us was the affirmation from the Lord we needed to hear. 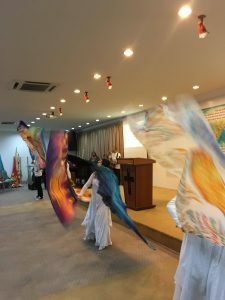 Prophetic dancers accompanied the worship. 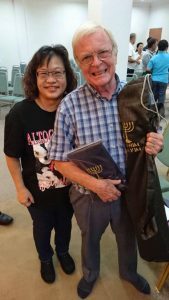 We met some wonderful friends such as the worship leaders Anisha and Bryan Longridge and Howard received a gift of a hand made embroidered new Shofar bag given by one of the other shofar players. 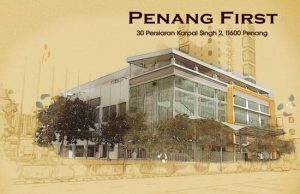 After the Penang conference and before we moved on to Kaula Lumpar for the second one I was invited to preach at Penang First Pentecostal Church on the Sunday. This awesome building has been completely paid for by the church member some of whom sold their home, and down sized in order to raise the capital to pay for the building costs. 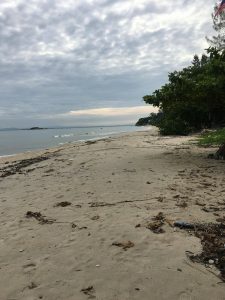 I was invited to preach there for the three services that day. God moved in mighty power healing anointing and baptising many in the Holy Spirit as He moved sovereignly amongst us. The Holy Spirit moved so powerfully we both fell over. We laughed so much. God is so good. 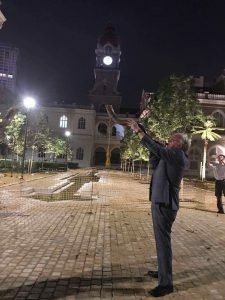 In both Penang and in Kuala Lumpur we were led to prophecy and blow the shofar underneath a prominent public clock in the city centre and to declare that the Time and Season of the Bride had come bringing alignment between the Times and Seasons of Malaysia and these two cities with the Times and Seasons of Heaven. 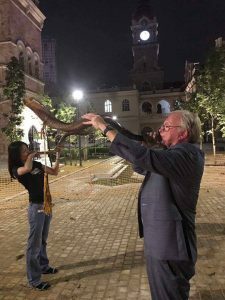 Here we are in Penang at the central clock blowing the shofar to alinging the Times and Seasons of Penang with those of Heaven. Time is short and prophecy regarding the end times are fast being fulfilled. 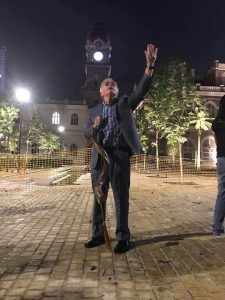 When we finished prophesying here we looked at the clock……it was the ‘eleventh hour’…..very prophetic indeed! 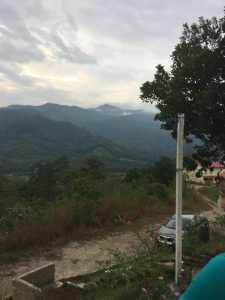 On our final days we were privileged to visit the Malaysian House of Prayer high up in the mountains overseen by our good friends Vinsie and Philip Marc Lee and also attend one of their prayer cells in Kaula Lumpur. We felt the presence of the Lord so powerfully during that time. Vinsie leading the way to the prayer tower and the view from the top. 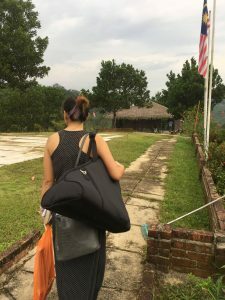 Wow, Malaysia was exceedingly exciting. I’m blessed by the report and the videos. Thanks for accepting the call and traversing the universe even at your young age. God bless you Dr Howard and Pike. 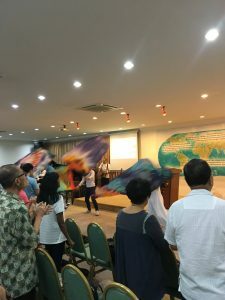 I received blessings by Malaysian conferences videos and photos so God willing to me for joining next time Malaysia conference please contact me with details of Malaysia conference. I am good friend of Howard Barnes from United Kingdom. Bless you Pastor Asif. We hope to return to Malaysia this year. We will give updates on the website, but also make sure you have subscribed to our mailing list, and whatsapp group.